The neighbors are going to start talking about me and my mailman. This is some neat yarn, check out Dancing Fibers site to see the (PDF!!) striping action... 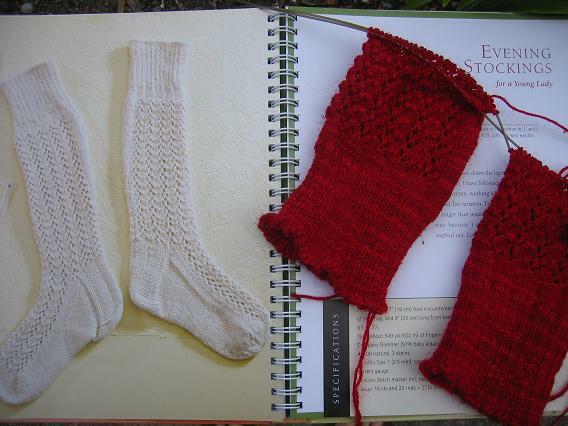 I found a half sock picture in Diamusee fine from Marilyn at The Knitting Curmudgeon, and another Diamuseefine sock from Indigirl (Amy), proprietress of Make1Yarns. 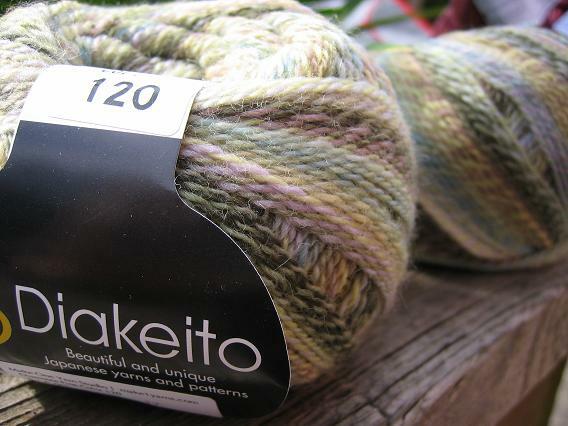 I've seen the Diakeito offered up as a "substitution" for Noro (in worsted weights) because of the coloring/striping but don't see it pretty much anywhere and also haven't seen much socks of it. Its the perfect weight though, and though its not superwash, I think I'll still love it equally :) I chose the lighter color cos I'm thinking some textured toe up socks, and don't want the deep colors to fight with any design. Another yarn I don't see much of and was thrilled to be able to try. It has such an unusual feeling; it has the crisp feel of cotton but in wool (kinda like Socks that Rock), but isn't plied as far as I can tell... almost looks chained but isn't. I have no idea about its construction, even after staring at it, but it is fabulous. And their colors are beautiful! I saw my favorite at Stitches West this year (color 101) but they only had one there... but this pink is great! There's even a little orange in there!! I'm not a pink girl (hehe, I think I remember saying I'm not a purple girl too...), but this could definitely swing me. It'll also swing me to handwashing, as its not superwash either. I used the US 4's to try and allow for some extra "give" to the fabric, and don't think its too open. 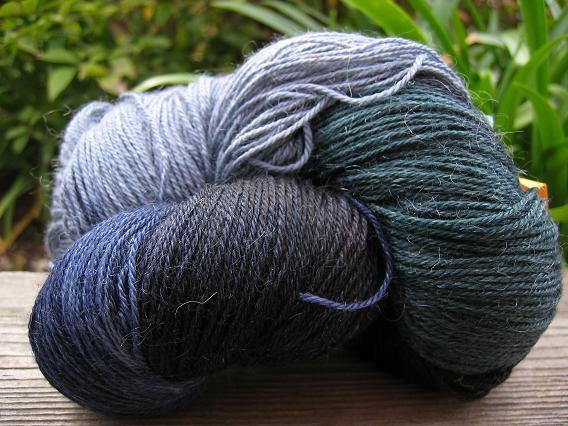 I was also stretching the 30 gm of Koigu I had, since it was one of the mini-skeins and the rest I had left. I've never used Koigu/Cherry Tree Hill at a larger gauge but it actually makes a nice fabric; US 4 would be too open for a garment, but it kinda opened my eyes about how this yarn can change by simply changing the needles. from Nancy Bush's "Knitting Vintage Socks"
Thanks for the link to the headband pattern - I missed that before! I literally lost my breath when I saw the Artyarns Merino color! Love the Anne~~my lys just started stocking Anne. So far I haven't succumbed, but it won't be too long now, I fear. 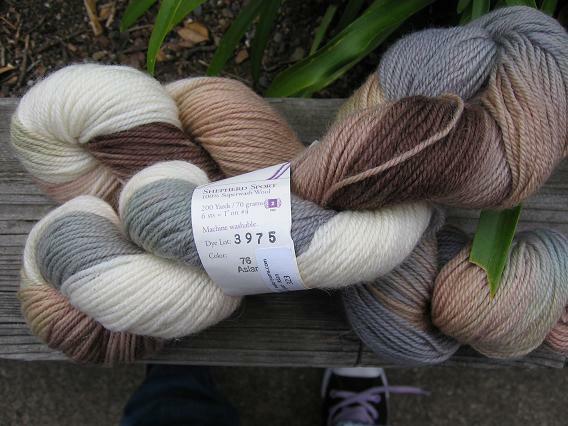 It seems finer than other sock yarn~~what size needle will you use? 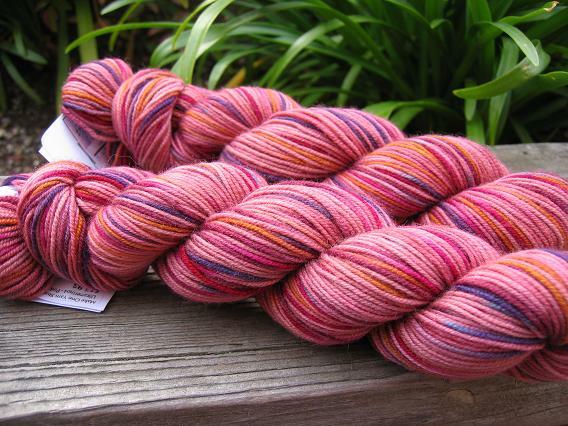 Wow, your blog's really living up to its name with those beautiful yarn shots! I love the knee highs. That color is just fantastic. I love falling in love with a yarn like that. It makes knitting so satifying. The stitch marker you have near the back seam is really cute, too. The stockings are so pretty, what a beautiful pattern. And your new yarn is gorgeous, too. OMG! I adore Diakeito!! I made a hat with it and i am hooked. the rest are super delicious. you are brave to do knee highs on 0. wow!! Craftoholic made some, but I believe she used a tapered leg. What beautiful yarn! I ask you, is there anything else in the world like smelling and fondeling new yarn? 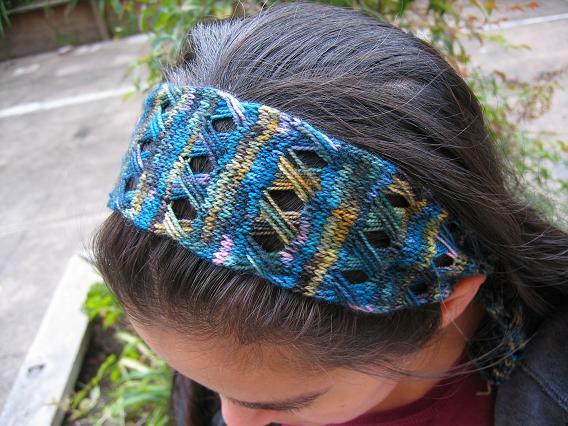 The headband is really pretty, I'm going to do a search for a pattern and try making one myself. Can't wait to see the finished socks too! Every time I come here I get sock-yarn-stash envy (in a good way). I'm dying over the asian LL, been wanting some of that for a while. 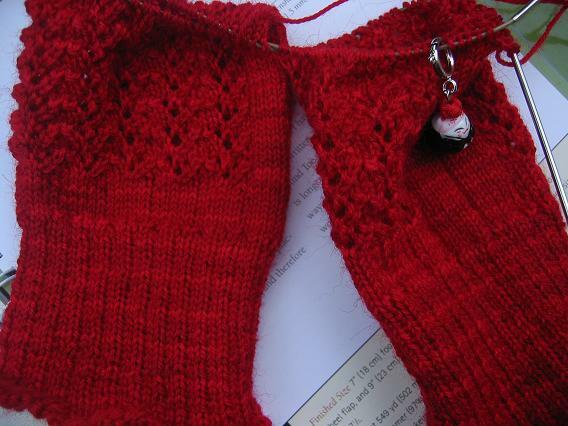 And another pair of beautiful socks started, the envy! I forgot to mention before, I love that headwrap! The colors of the Koigu are really beautiful, and work well with the wrapped stitches. ooh, lovely stash enhancement. Great job on the Hedera socks too! !